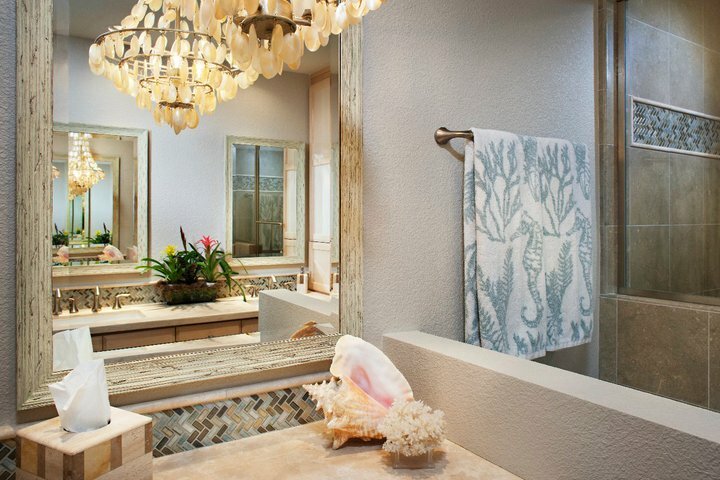 This bathroom went from neutral to knock-out with a few simple accessories. Doing a complete gut-renovation of a bathroom is wonderful but I realize that’s not in everyone’s budget. Fortunately there are some ways to update your bath without completely starting over. In fact, you might be surprised at how much of a different look you can achieve through a simple bathroom remodel with a few relatively easy changes. Here are some bathroom ideas on a budget. An obvious first step is to swap out dated faucets for sleek chrome or brushed nickel fixtures. If you have a standard sink or vanity and tub/shower, this is a fairly simple switch you can do on your own. Home improvement stores have a wide range of fixtures to choose from at all price levels. While you’re at it, you might as well complement those new faucets with matching hardware. New towel rings or racks and a new toilet paper holder add some flash and make the bathroom feel new. A contemporary framed mirror is another way to give the room a facelift. Again, these are readily available at home stores and are not difficult to install. 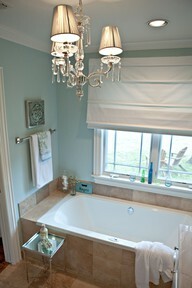 A chandelier in the bathroom gives a glamorous touch. If you’re up for a little more challenge, consider replacing the light fixture with something modern and fresh. And of course, painting a room always gives it a clean, invigorated feel. 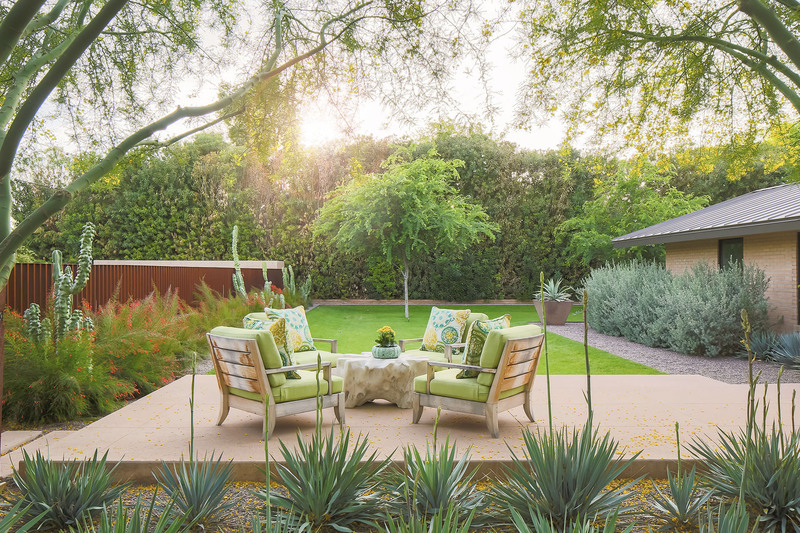 Choose cooler colors in slate blue, gray and muted purple tones to create your own calming getaway. Perhaps the most effortless way to “renovate” your bathroom is through new accessories and artwork. If you can’t afford to retile an unsightly shower, for example, conceal it with a striking shower curtain. West Elm is a terrific resource for coordinating bath accessories along with distinctive bath-friendly art. I’m also a big fan of Bed, Bath and Beyond because the selection there makes it easy to mix and match traditional with contemporary bathroom looks. Since most bathrooms are small compared to other rooms in a home, just modifying a couple of items can make a big difference in how the room reflects your personal taste. Please contact our interior designers in San Diego if we can help with remodeling your bathroom or any of your home design needs.